That may very well change in the near future, or perhaps it has already change. In the latest announcement of Amazon about its earnings, the direction the online store is going looks pretty clear – and it’s looking good for them. Operating cash flow increased 7% to $4.18 billion for the trailing twelve months, compared with $3.90 billion for the trailing twelve months ended December 31, 2011. Free cash flow decreased 81% to $395 million for the trailing twelve months, compared with $2.09 billion for the trailing twelve months ended December 31, 2011. Net sales increased 22% to $21.27 billion in the fourth quarter. According to Jeff Bezos they are experiencing a transition that they have been expecting – a transition that is all about eBooks taking the lead. In the same press release, the eBook growth equals about 70%, as opposed to a mere 5% growth in the traditional book category. Some might say it is a sad thing, but just like Bezos and his crew, we should have been expecting this to happen; perhaps not the exact numbers, but the trend at least. It’s not just eBooks that have been bringing considerable money to Amazon. The report also cites immense growth in video, thanks to instant video. 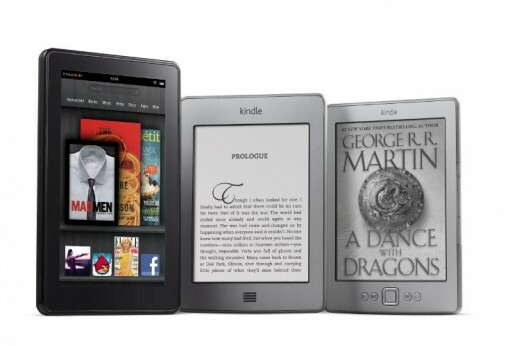 There’s also the fact that the Kindle Fire HD has caught the attention of countless tech consumers in the market. While the Kindle is an excellent eReader, the Kindle Fire HD does so much more. Still, the new Kindle Paperwhite has done very well, with supplies not meeting the demand. It has been a good year for Amazon, indeed. If things continue this way, 2013 will be even better. Not surprising at all, ebooks are generally cheaper. Cheaper wins in the marketplace usually.